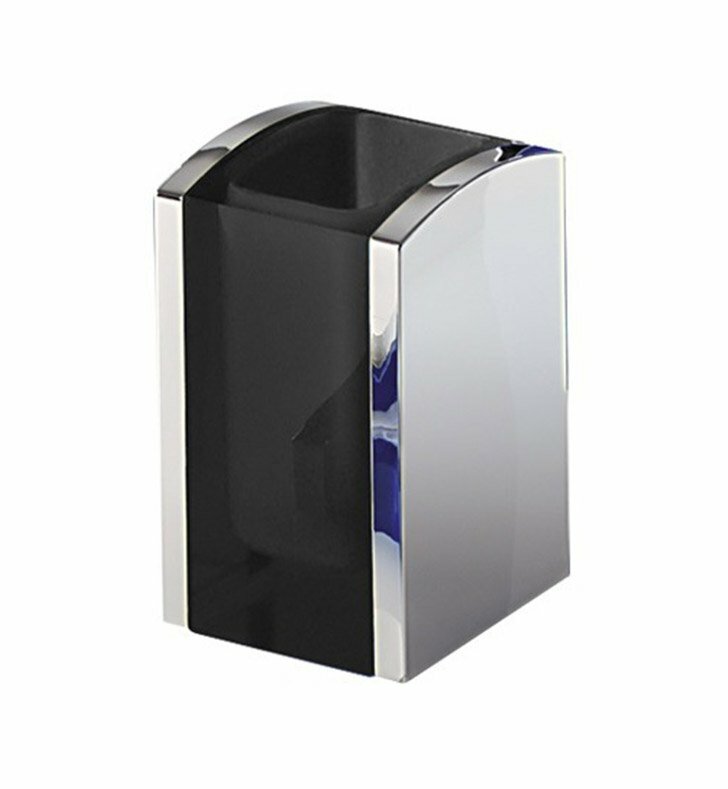 A high-end free-standing toothbrush holder/tumbler made in high-quality cromall and thermoplastic resins and coated in transparent/chromed, blue/chromed, or anthracite/chromed. 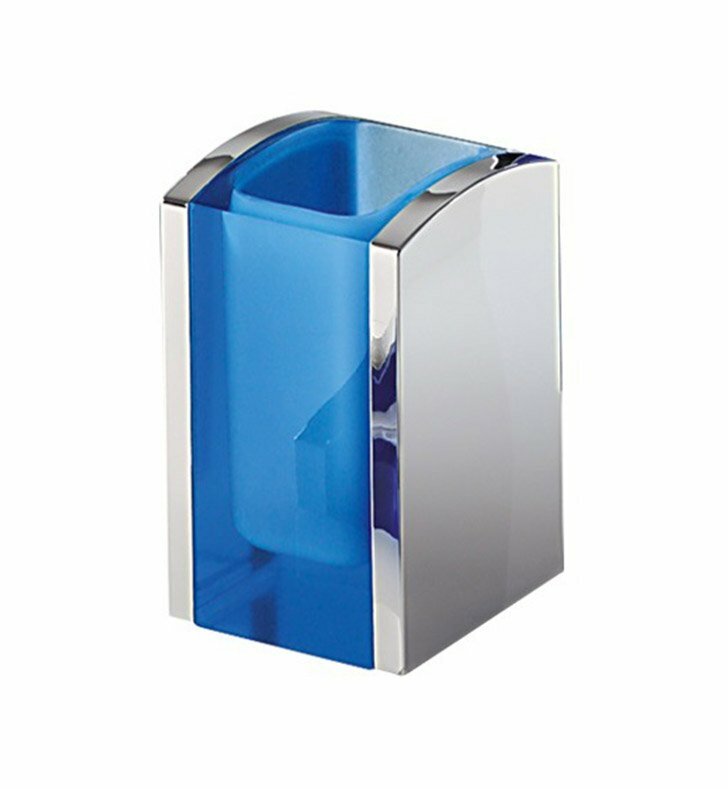 This bathroom tumbler from the Gedy Aedis collection is a contemporary-style toothbrush holder/tumbler. Manufactured in and imported from Italy. 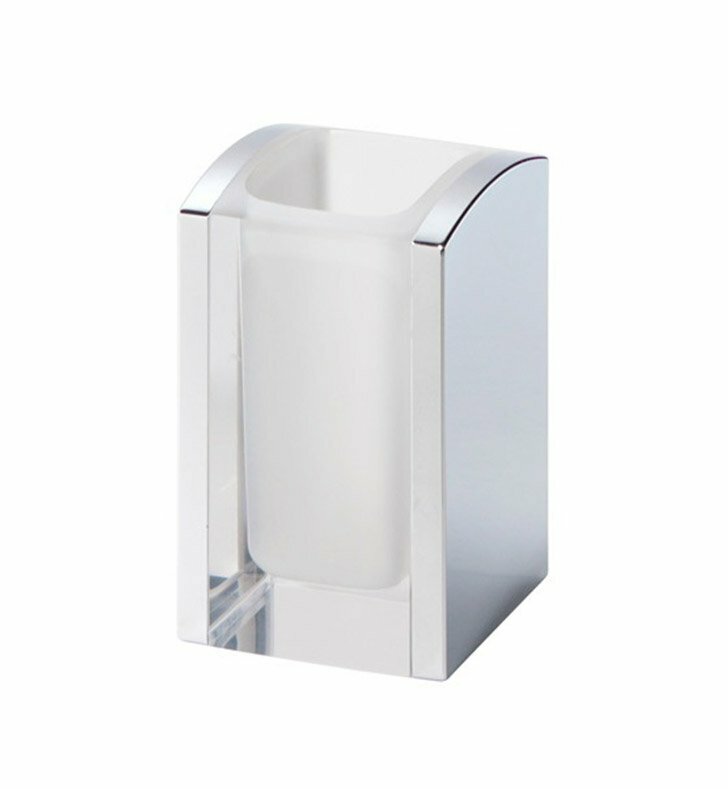 Will compliment your high-end bath.